If you like the idea of tasting incredible wines with a back drop of beautiful mountain vistas and being served by people who pride themselves on hospitality, this growing wine region may just be what you are looking for. 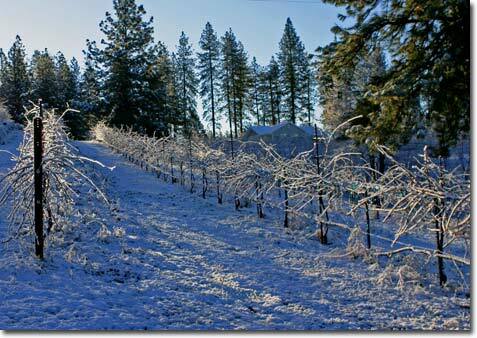 El Dorado County has more wineries than any other foothill county and is number seven in the state of California. The major difference you will notice immediately as you tour the area is that these are almost exclusively small, family owned wineries. The largest in the area is Boeger, which produces about 25,000 cases a year. These boutique size wineries pride themselves on their small batches of hand made, premium wines. Wineries of the Fair Play AVA Wineries of the El Dorado AVA. Maps to the Wineries of Fair Play. 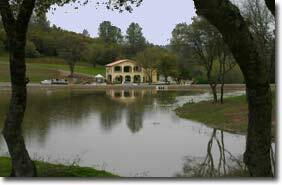 Although never a winner in the 'volume of cases produced' category, El Dorado County has had a rich wine history that dates back to the gold rush. The concept that the 'gold is in the grapes' was a fact not lost on some of the early immigrants to the region. Many came for the gold and soon saw that the real money was in supplying goods to the miners; and always in high demand were wine and distilled spirits. One of the first commercial wine producers was not surprisingly found near the gold discovery site in the Coloma Valley. Martin Allhoff, an immigrant from the German Rhineland, settled with his child bride from Ohio, Louisa, in Coloma in 1852. He purchased 35 acres of land and planted vineyards on the hillside. The terraces from those vineyards are still visible today. By 1858 Martin had produced his first vintage and was soon selling his wines as far away as Virginia City, Nevada. When he was implicated in an embarrassing distribution scandal, he committed suicide in a hotel room in Nevada.